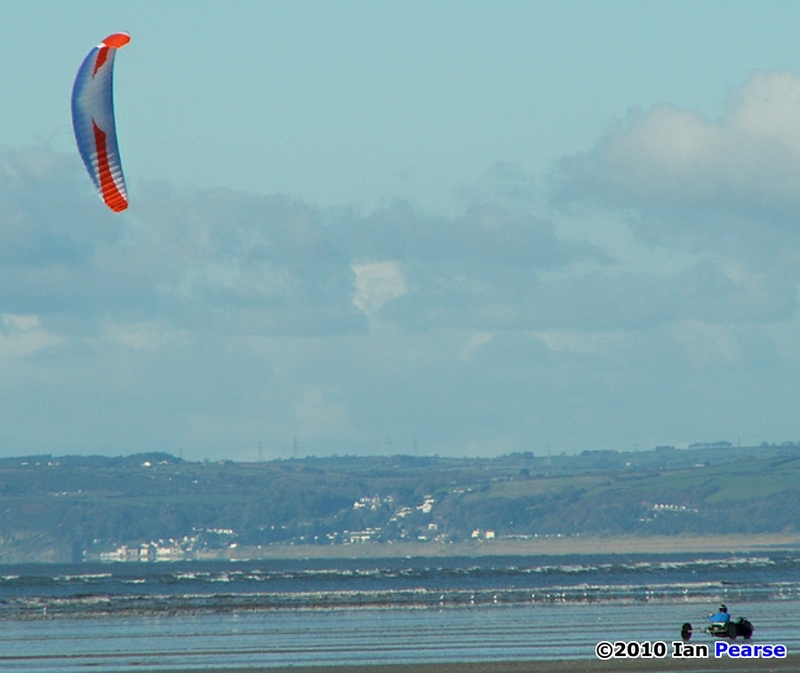 Location: – Pembrey and Pendine beaches, South Wales, UK. 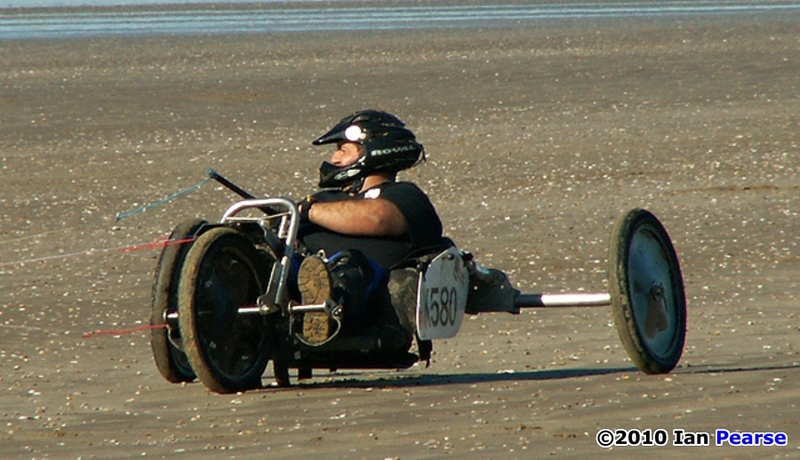 The Last Gasp has been the end of race season traditional weekend meet for well over 15 yrs. 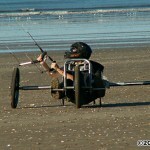 Saturday starts with a number of 3 lap races and the “killer” 4Hr enduro race is held on the Sunday. 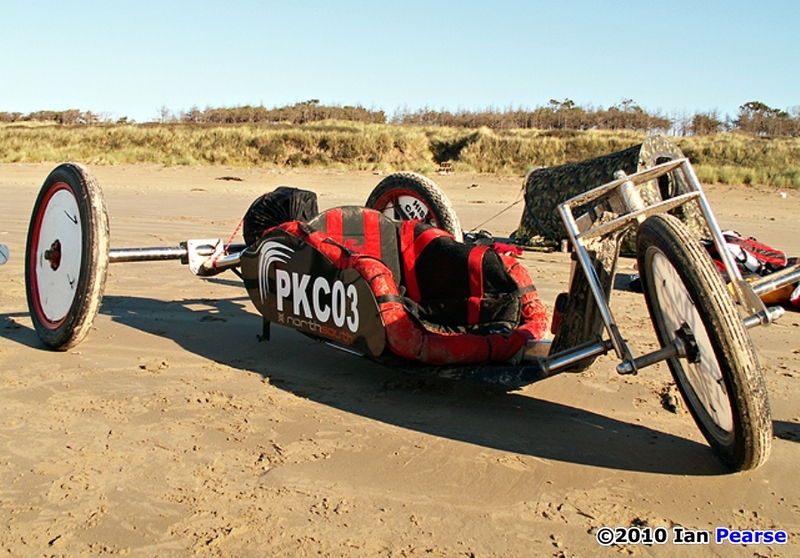 4 Hrs on its own demands much of the buggier, but throw in the possibility of strong gusty winds, wet beaches even at low tide, and temperatures to freeze your Bigfoot’s off. To make it to the end requires the ultimate determination of anyone foolhardy enough to enter. They also put on a decent breakfast and the showers are great at the end of a cold wet day. 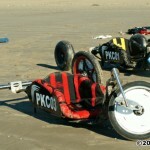 The ParaKart Association (PKA) had decided to run the Saturday races at Pembrey followed by Pendine on Sunday. 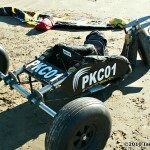 This was different to the usual setup but both beaches are great. 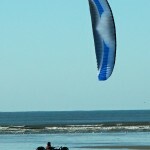 The wind predictions for Saturday were good but Sunday’s were on the low side 5-8mph. 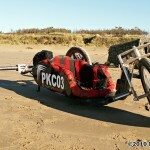 I set off on Friday afternoon and pulled into Morfa Hall around 5.00pm. A couple of other folks had arrived but most of the group has settled in by 7.30 – 8.00pm. 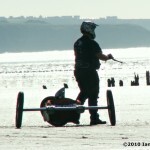 I saw Adrian Lavelle later, he had finished 12th overall at the World kitebuggy championships in De Panne, Belgium, earlier in the month, and I wanted to ask him about his experience. 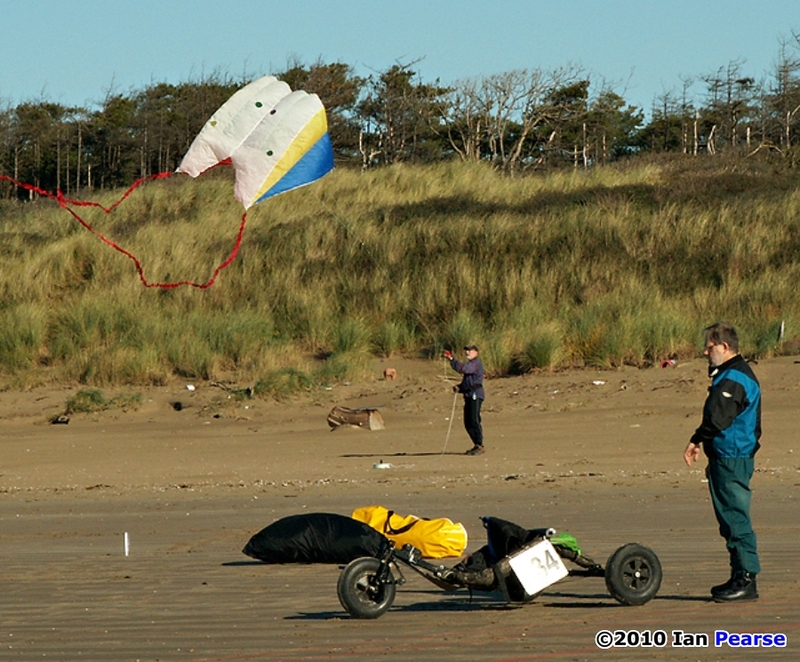 I had read on Kite Crowd, during the competition that he had suffered a line break in one of the races and this had lost him a load of places. 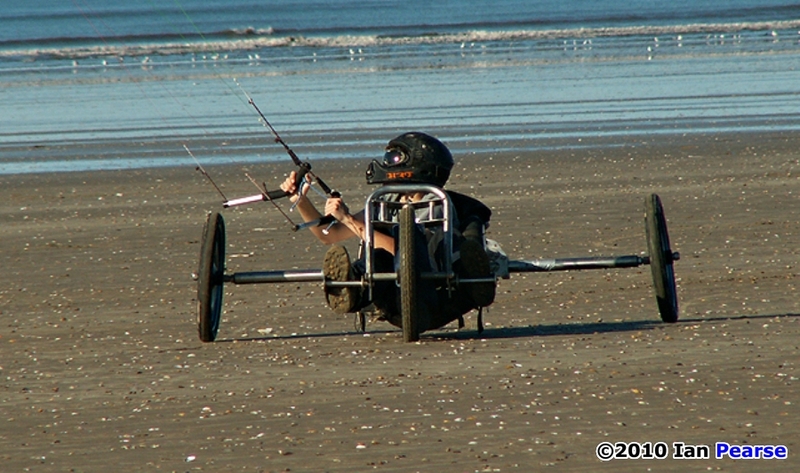 He explained that it had actually been the handle line that broke not the kite line and one of the problems was having to go through the pools in the tidal gullies, this extra loading saw a few folks experiencing line breaks. If it had not been for that he could have easily finished in the top 5. 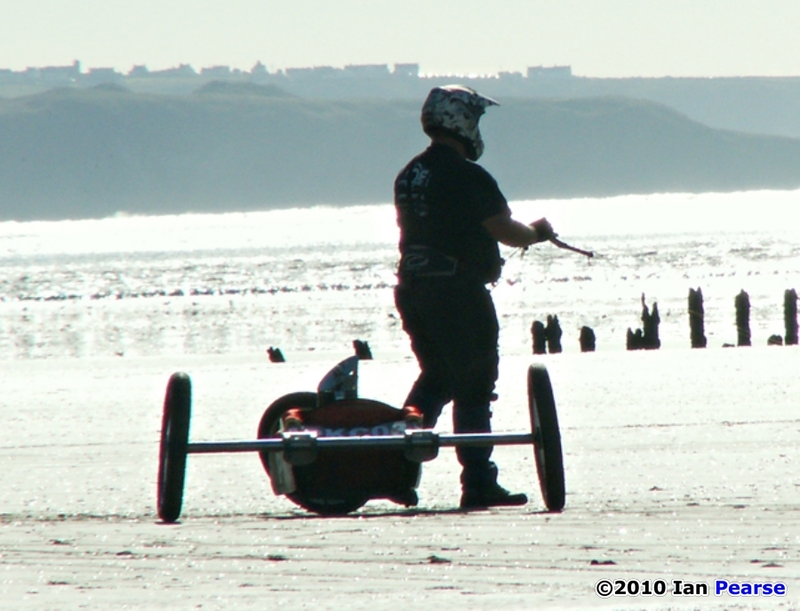 He also told me about the infamous wind conditions of De Panne, namely that in one place there is no wind and 200yds along the beach its blowing 15mph. 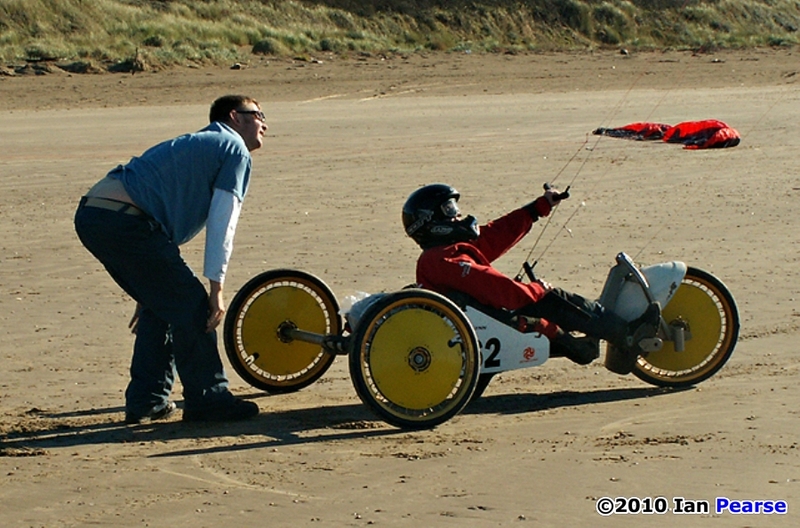 He said that the UK pits, along with some others, was in a wind hole so getting out onto the beach was almost impossible on the kite size chosen for the wind speeds that were on the beach. As if that was not enough the wind strength on the course near the French boarder was 12-15mph stronger than at De Panne. 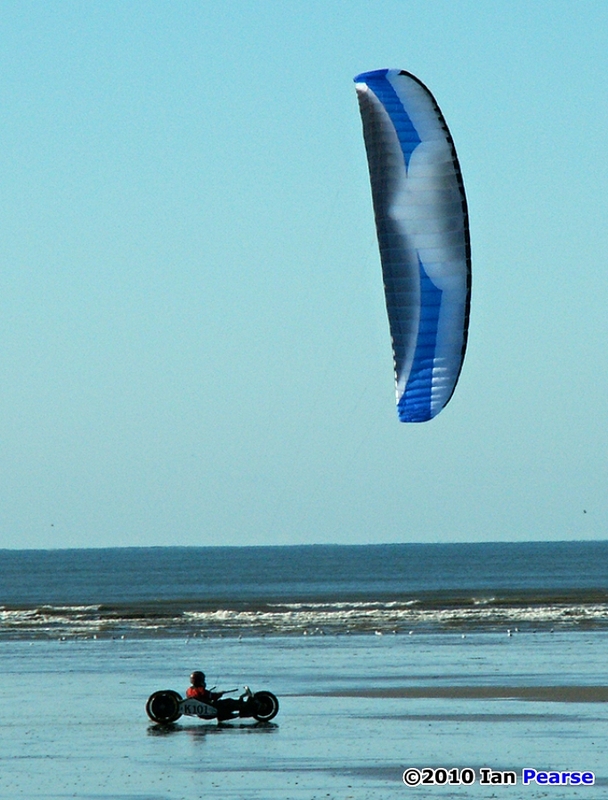 So you were fighting for control at one end and using all your skills to squeeze the most out of your kite at the other! These conditions may be less of a hazard to land yachts, but they are downright dangerous to powerkiters! 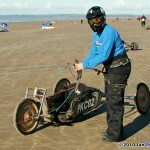 After a short drive around the bay the weather was looking good at Pembrey. 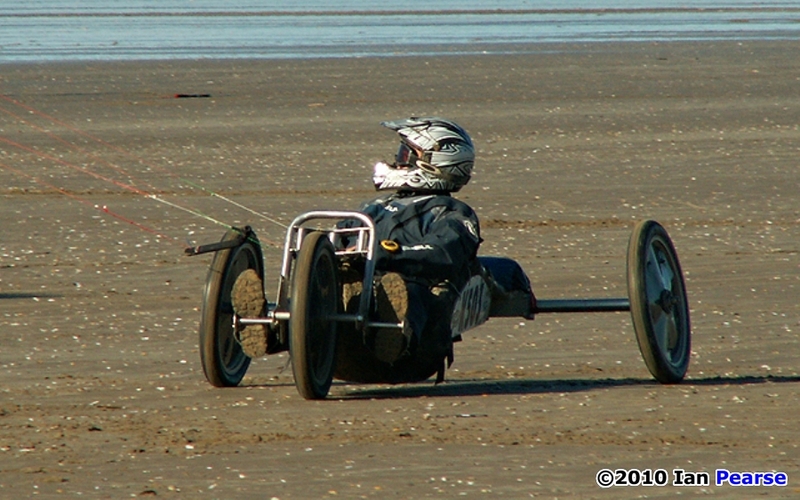 The car park buggy assembly area soon filled up and soon we were on our 1.5 mile walk up the beach to the race pits area. 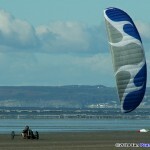 A decent breeze of 15-20mph prompted me to set up my 8.0m Ozone Access, with the race kites being around 5-6m’s. 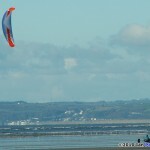 By around 12.30 we had completed 2 races when dark clouds started moving towards us from over the estuary. We had already had a couple of rain bursts blow through but his looked liked a change in the weather and we started to pack up and leave the beach. I was soaked before I could get to my car. Cold and wet I drove back to Morfa for a hot steamy shower and a hot drink. I have known John since 1990. 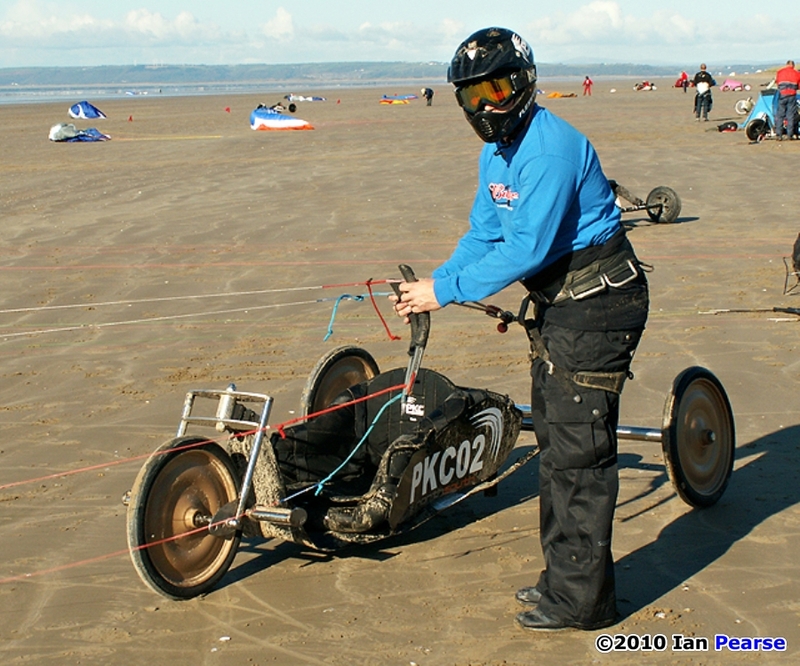 He was one of the first three folks in the UK who bought Peter Lynn Peel’s and buggyies and flew demonstrations at all the main UK kite festivals. 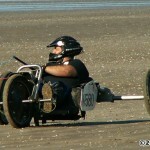 The other two being Ian Meredith and Mike Shaw, who set up the BBC (British Buggy Club). 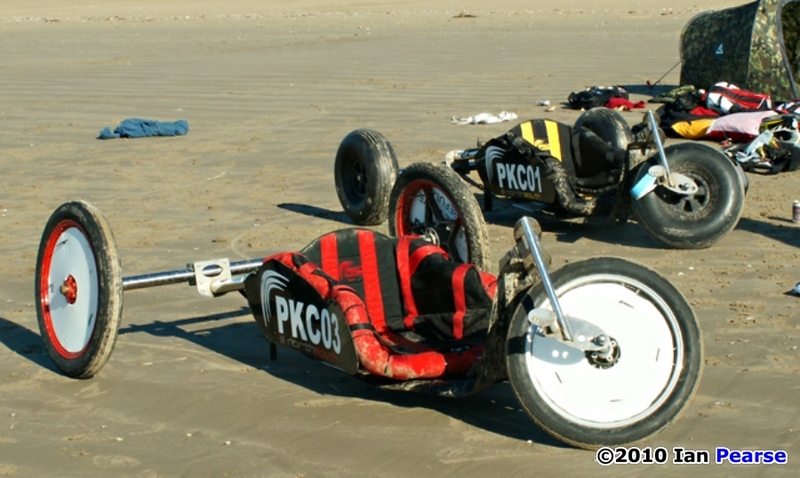 Between them their skills and trick riding set off the kite buggy community in the UK and the “Berrow” week long buggy meets from 1995 – 2000 are still legendary! 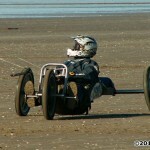 The 2 Open races were both won by Adrian Lavelle, showing his dominance in the UK buggy scene at the moment. A good night was had by all resulting in a thick head in the morning! 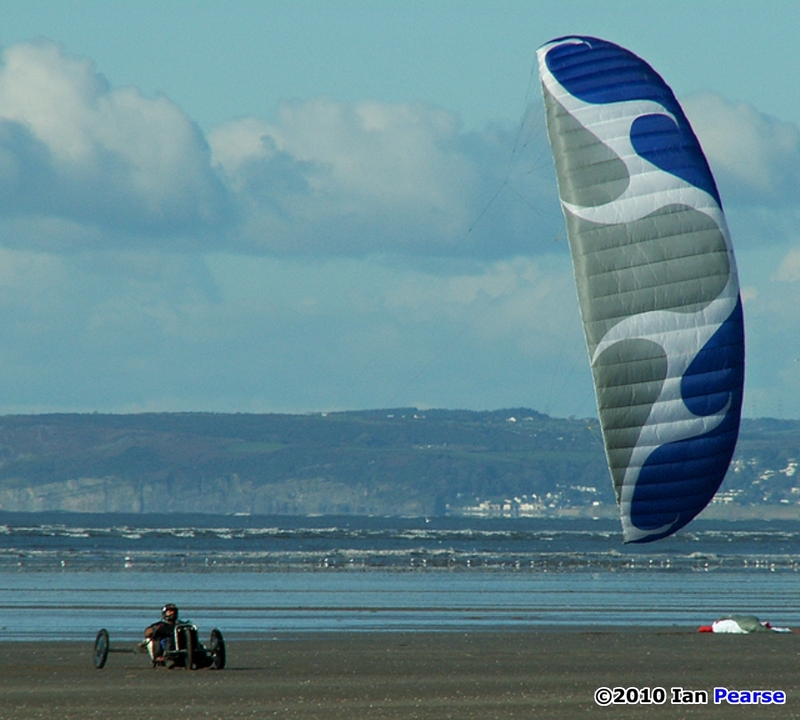 The wind direction for Sunday was not good for Pendine beach so it was decided to run the “Gasp” at Pembrey. After pitching up at the pit area the weather could have not been more different to yesterday. Sunny, windless, warm even and Chris Croft, race officer, proclaimed that the race would start at 11.00 am and finish at 3.00pm regardless of wind conditions. The race horn sounded as we sat around basking in the glorious sunshine bur going nowhere! 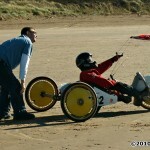 1 Hr passed but even the 11 / 13m race kites didn’t stir. Finally R. McGavin crawled out and over the start line slowly followed by M. Job and the race was on! G. Wass and M. Cook joined the race and as if in slow motion we all ventured out and inched along. 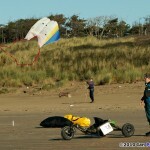 These winds were on the limit for me to keep my Ozone 8.0m access aloft and with a lot of hard work I managed to keep my kite form falling onto the wet sand. The next 2 Hrs left me totally knackered and all I managed was to clock up 4 laps of the 4mile course. To put thing in perspective, the skill of R. McGavin allowed him to log 14 laps in approx 2.5 Hrs with wind speed around 5-9mph! So this year’s “Gasp” turned out to be a bit of an anti-climax for me, but all credit to those top 5 for all their efforts. 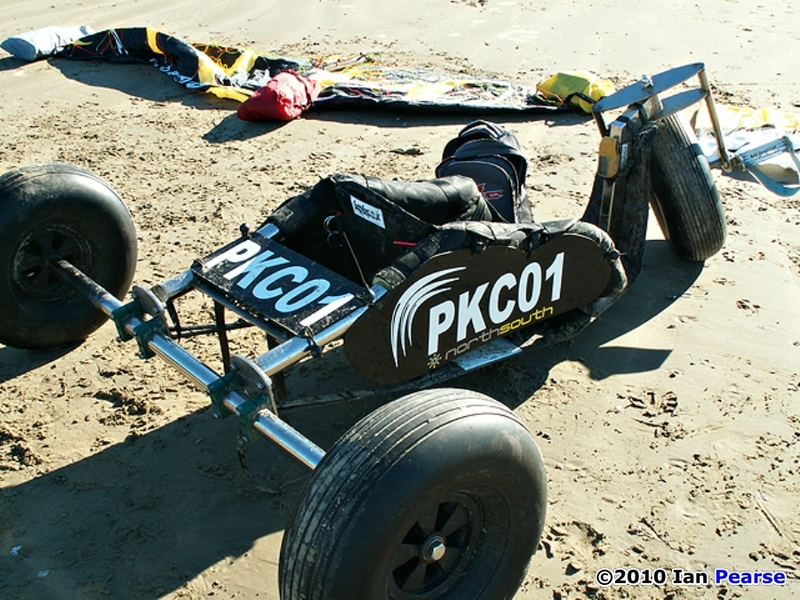 This entry was posted in 2010, Buggy Newz, General Topics, Issue 75 (Nov/Dec), Kite Columns, KL Archive and tagged buggy, power kites, race.